Mint condition hardback book and dustjacket. As new. 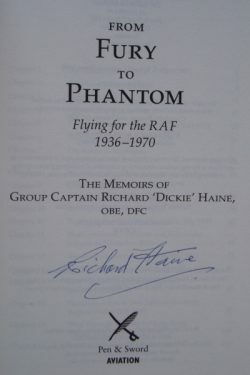 During Dickie Haine’s long RAF career, he flew an extraordinary variety of aircraft. 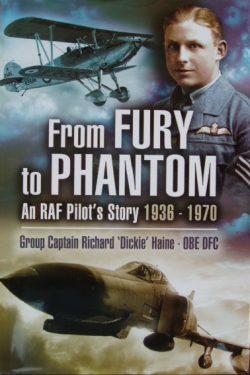 Initially a fighter pilot on Hawker Furies and Gloster Gladiators with 25 Squadron, the squadron re-equipped with the Bristol Blenheim and he became a specialist night fighter pilot. A welcome addition to any Battle of Britain library.